The first jig hard point will be the lower front A-arm front attachment point. 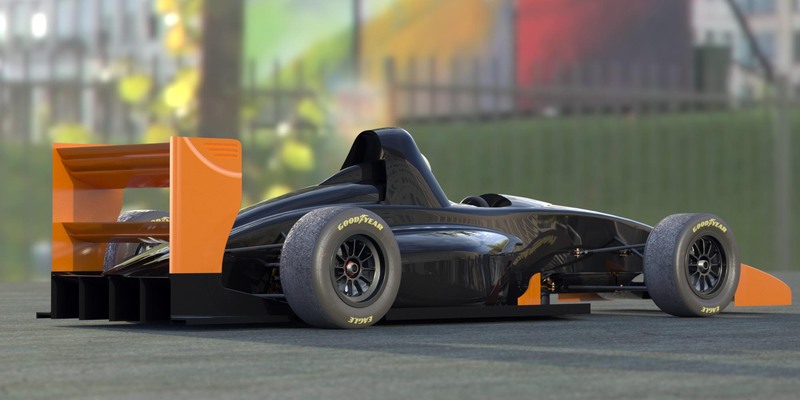 This may look a little odd if you’re only acquainted with street-car derived race cars, as the lower front A-arms almost meet in a point under the car, much like a Formula 1 flexure. This gives the suspension the optimum geometry for minimal camber change under body roll, and is part of the reason street-car based race cars can’t come close to the performance of a purpose-designed formula race car. 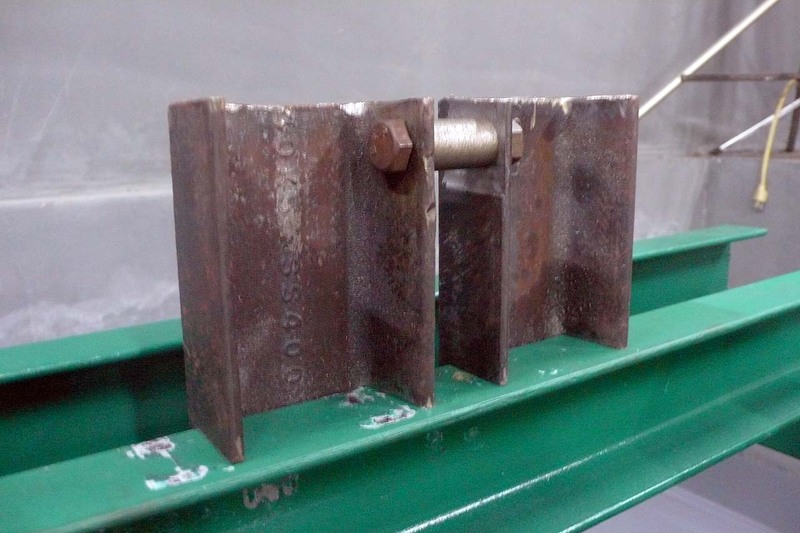 The jig attachment point is fabricated from 3″ x 1/4″ steel C-channel, cut to the basic shape with the plasma cutter, ground with an angle grinder closer to its final shape, then the reference faces were milled on the milling machine to an accurate final shape. Then I turned up a small cylinder like the one that will be welded into the chassis, to serve as a spacer to locate the braces when they are welded to the chassis table. In the photo, the braces have not yet been welded to the jig crossmember. In the process, I learned something not to do with the plasma cutter. I laid the C-channel on a concrete table for cutting, and the plasma stream went straight through a quarter inch of steel and seriously eroded the concrete. Hard to believe this took only seconds to happen! The plasma cutter is an amazing tool. 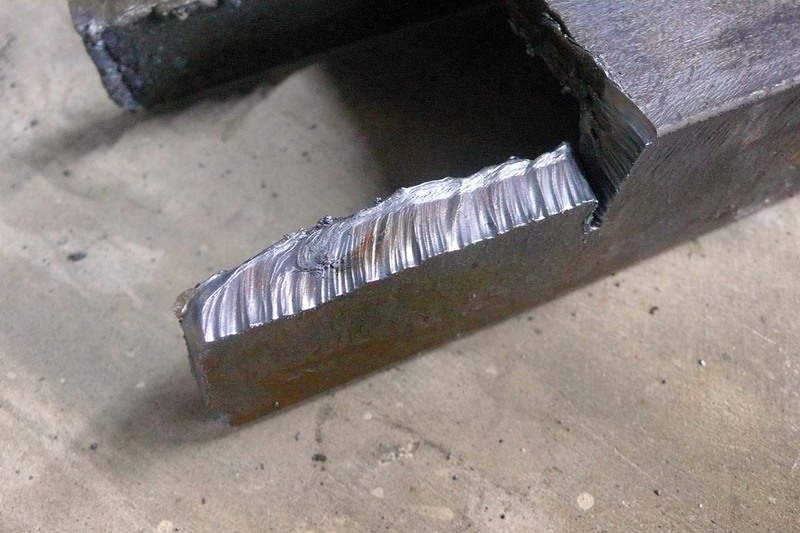 Cutting through this much steel with a 14″ portable cutoff saw, well, after 15 minutes I gave up. Once you know what you’re doing with the plasma cutter, a cut like this takes only 10-20 seconds. Here’s what the raw cut edge looks like. Those ripples are from the shaking of my hands as I move the cutter. 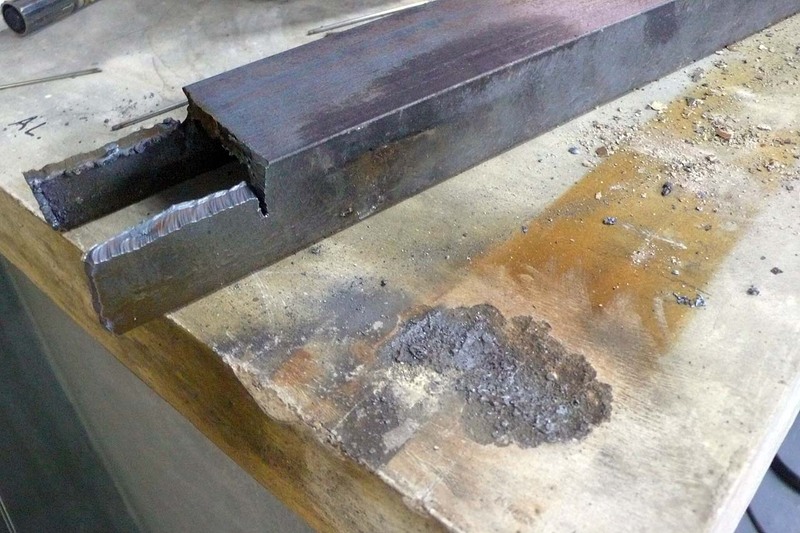 When cutting, you feel no resistance at all, but if you go too fast the cut won’t go all the way through the metal. When first using the plasma cutter, it took me a while before I figured out what I was looking at. The welding helmet has to darken so much, and the plasma is so bright, that you can only see a tiny area around the beam. Eventually I figured out that, if you view from the right angle, you can see the actual beam which is as narrow as a needle. Once you can see it you can control it better. This entry was posted in Cutting, Jigs, Tools, Uncategorized. Bookmark the permalink.